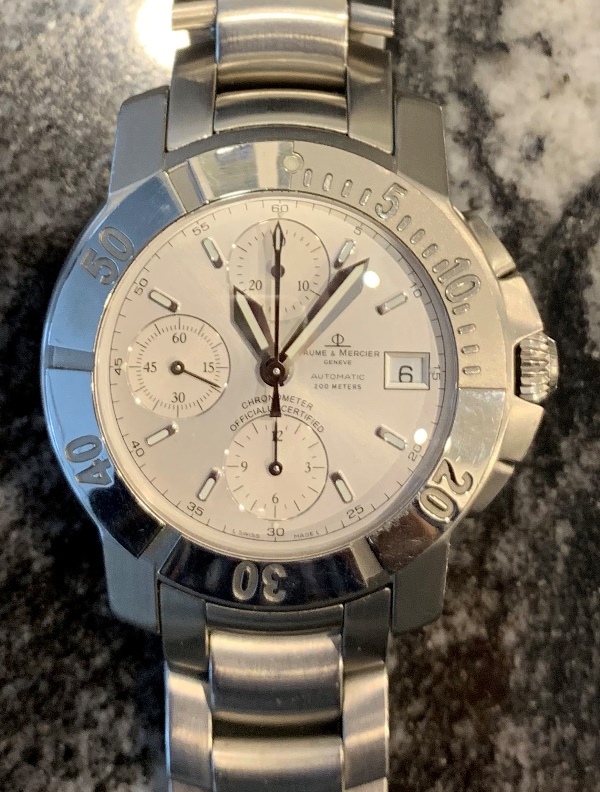 Great looking Baume & Mercier Capeland automatic chronograph with all steel case and bracelet. 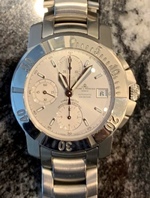 Watch is pre-owned and dates to circa 2010, model reference is 65366. It is in great working condition and is ready to wear. Photos are magnified and show details not seen by naked eye, the case measures 43 mm across (not including crown) x 48 lug to lug and watch fits an 18 cm (7 inch) wrist.